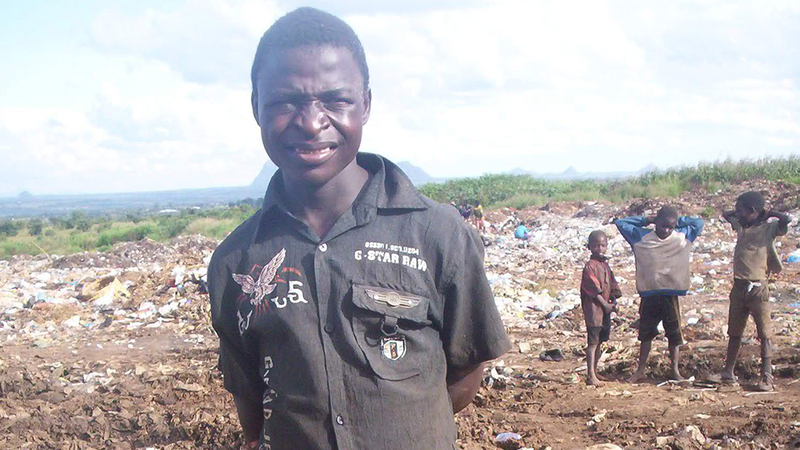 In 2012, CRIDOC worked with the National Youth Council (NYCOM) to create videos and radio features about the children who risk their lives at the two major dumpsites of Lilongwe and Blantyre scavenging for all sorts of waste there. Five years later, it is shocking today to learn that some of the expired dressed chickens discarded from some big shops in Lilongwe still end up as kanyenya (either brai or fried chicken) in some streets and around some bars in Lilongwe, according to revelations by children and young people who scavenge at the major dumping site in the city. The dumpsite, located near Six Miles some 10 kilometers away from the city, is notorious for close to 2000 scavenging children who frequent the site, according to NYCOM. In random interviews at the dumpsite, the children revealed that dressed chicken is the most valuable of all rotten foodstuffs as it sells like hot cakes in town. They said most of their customers ply their trade as kanyenya (smoked meant) sellers in some streets and in front of pubs in the city. “I think our customers buy our chicken at a much cheaper price than they would buy from shops, that’s why we don’t find problems in selling dressed chicken unlike these other foodstuffs,” says one of the children (name withheld). “They (customers) want to make quick and big profits, while our aim is not necessarily to make profits ourselves. We just want to survive. We just want to earn a penny we can use to buy basic things like soap,” says another kid. Almost every two hours or thereabouts, day-in- and day-out, either a truck from Lilongwe City Assembly or a lorry from another company offloads different kinds of waste, including leftovers from hotels and restaurants, and expired beverages and fresh foods from food shops. Other waste include items from clinics like used bandages, wretched syringes, expired drugs and other the pharmaceutical products, among other things. Yet, currently there are no efforts or mechanisms put in place by responsible authorities to keep these children away from the site despite apparently being exposed to a range of contagious diseases and other health hazards which, based on these revelations, they can as well pass on to the other residents. On his part, former Executive Director for the National Youth Council of Malawi (NYCOM), Aubrey Chibwana, whose organisation was implementing a project then aiming at withdrawing these children from the dumpsite, said there were about 2000 children who were thought to be frequenting the dumpsites in both Lilongwe and Blantyre, yet the project could only afford to remove a total of 280 children and youth in its two years of its contractual existence. “We are providing scholarships to the children of school-going age, while those who are older are being sent to Don Bosco Youth Technical Institute to learn various vocational skills where they learn carpentry, tailoring and bricklaying. But as you know, behavioral change is always a slow process,” said Chibwana, while urging other stakeholders to seriously play their role.